Cookies are one of the best desserts because there are so many kinds and the are relatively easy to make. 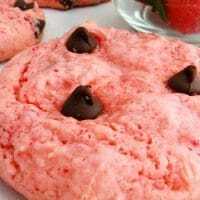 Since I’ve been in the baking mood lately I decided to share my latest creation which is this recipe for Easy Strawberry Chocolate Chip Cookies. My son loves strawberries so much in fact that I bet he could live off them forever. 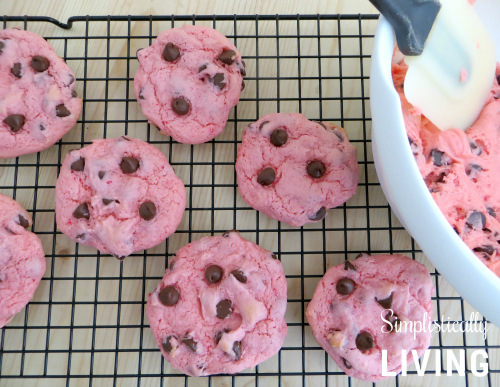 That is why I knew these strawberry chocolate chip cookies would be a huge hit in our house and they were! You can make these for parties, barbecues, and even gifts to give your neighbors. They are pink, sweet, and chocolatey so you can’t go wrong! Want more ideas? Check out these tasty eats! 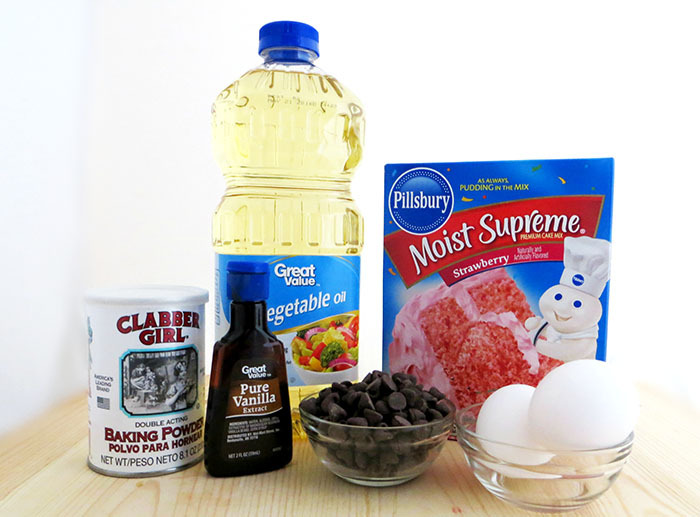 Bake for 10 minutes – do not let the cookies get brown. You want to keep that nice pink strawberry color. Allow to cool on baking sheet for 3 minutes; they will be very soft at first. Transfer to a wire rack to cool completely. Store in an airtight container for up to one week. 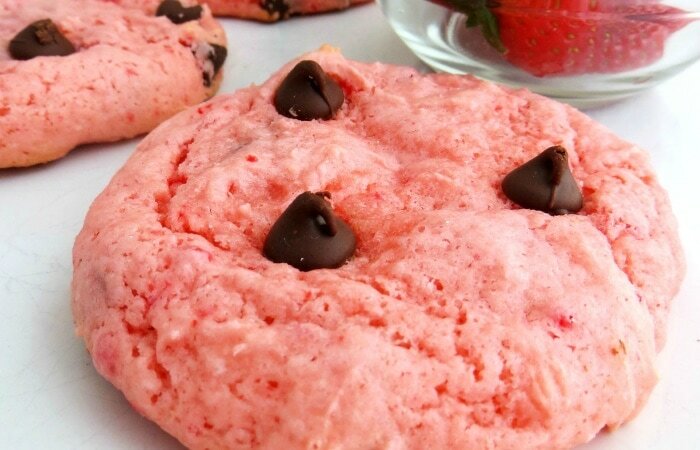 Easy Strawberry Chocolate Chip Cookies. That is a great idea! I will have to give it a try! 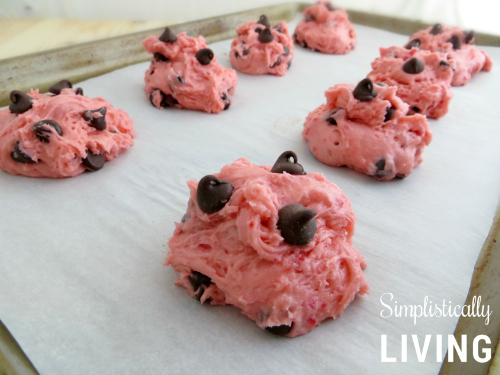 These cookies are so pretty and look pretty simple to make! What a perfect little cookie for Valentine's day. Thanks for linking it up to the Sunday's Recipe Wrap-up!